Design concepts have a way of coming in and out of fashion, and it looks like modular control surfaces are back in the “in” category. Grid is a modular MIDI controller system that recently launched on Indiegogo after months of proof of concept videos. Keep reading to learn more about Intech Studio’s Grid, sign on to get your own units, and watch the prototypes in action. 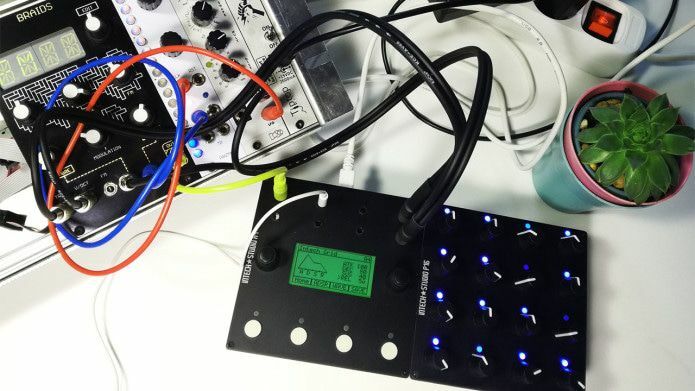 Intech Studio has been developing a modular controller system for three years – and with the launch of their new crowdfunding campaign, commercial production runs could be on the horizon. 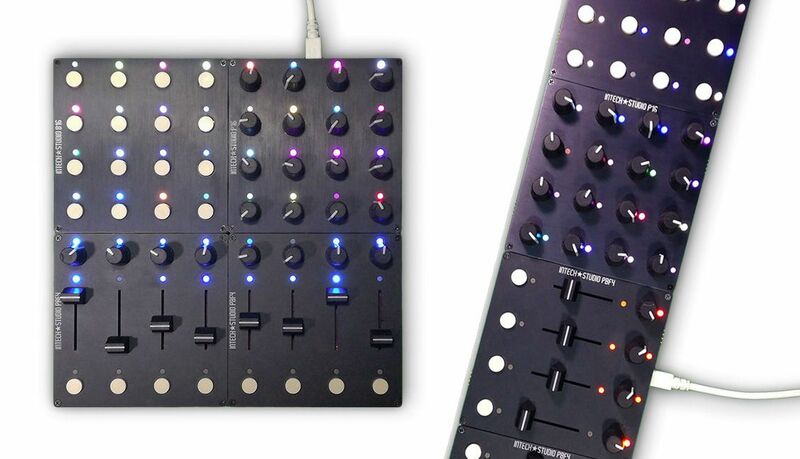 The system is a set of plug and play control surfaces, any of which can be used on their own (“there is no brain module”, notes their website) or connected together to make a custom control surface. 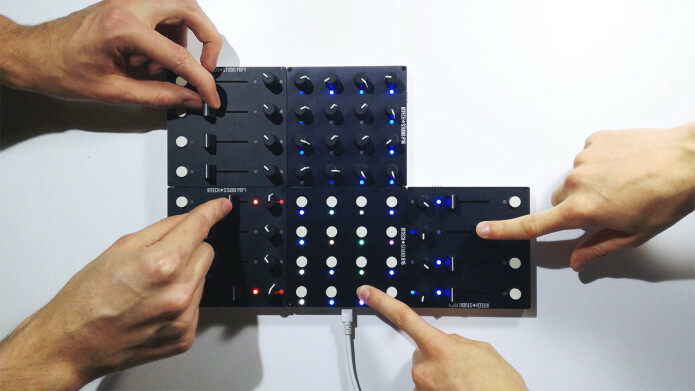 For the launch of their crowdfunding campaign, there are three starting modules – the P016 (knobs), BO16 (buttons) and PBF4 (buttons, faders, and knobs. At first glance, these look to be very simple controllers compressed into an almost-too-small size of 4 inch squares (106mm). It’s no coincidence – they’re designed to be mountable in a 3U Eurorack modular case. But potential backers shouldn’t get stuck on a single unit – the magic comes in how extendable the Grid system is. Users can connect up to 16 different grid modules in any arrangement, at any 90º orientation, using a “custom designed magnetic interface”. As they are moved around (even while playing live), the mapping can adapt based on position and rotation of the modules. Here’s the reality of these types of projects: many of them fail, or don’t go much further than their initial prototype phase. Making hardware is a really, really challenging endeavor with unforeseen obstacles. According to the project timeline, the Indiegogo campaign preceeds an optimistic one month process for tooling and manufacturing preparations, with a goal of Grid shipping in April 2019. But first, the company needs to raise money. At the time of publication, there are 17 days left in the in crowdfunding campaign, and the campaign has raised just 7% of their goal, $25,000.